If you're having a party themed around apples then you better be serving some tasty apple-y foods. 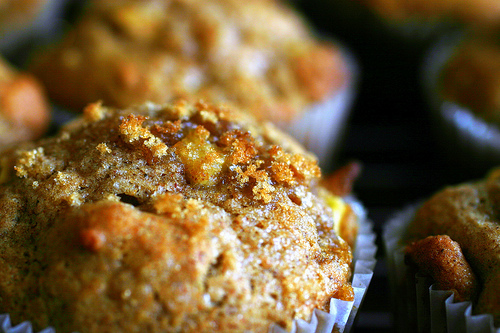 Here are three suggestions for easy, healthy, and fun apple recipes. You can get the recipe and instructions for these mini caramel apples on the Disney Family Fun website. They're great because everyone loves caramel apples, but who wants to make 30 full sized apples? 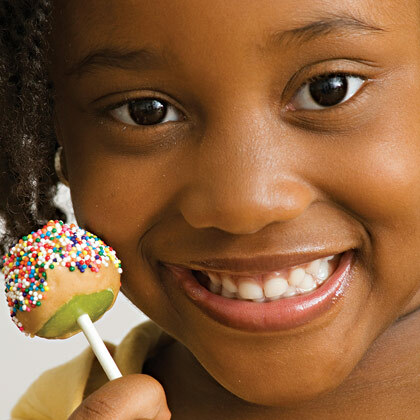 Not to mention, how many people can eat a big caramel apple in one sitting when other yummy goodies are to be had? I made these for a kindergarten party once and my only suggestion is to try and scoop your apple circles as closely as possible to get the most out of each one. 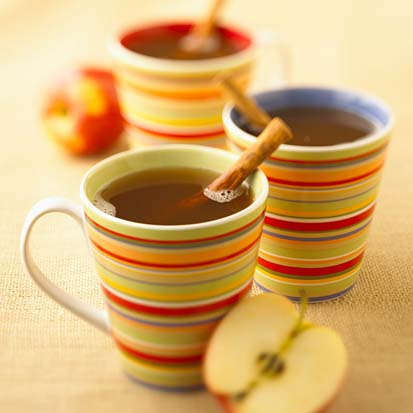 You can throw a quick pot of apple cider together with this recipe from Making This Home. Get the right mix of zest and spice and warm it to perfection. No one can resist a warm glass of apple cider. In fact, I really want some RIGHT NOW. With cinnamon and cloves in it. mmmmmmmm. and lots more, because apples are awesomely compatible when it comes to food.